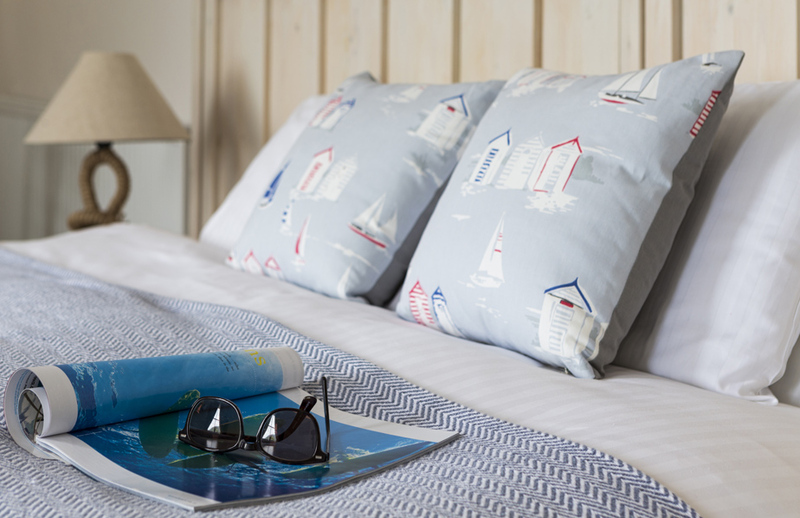 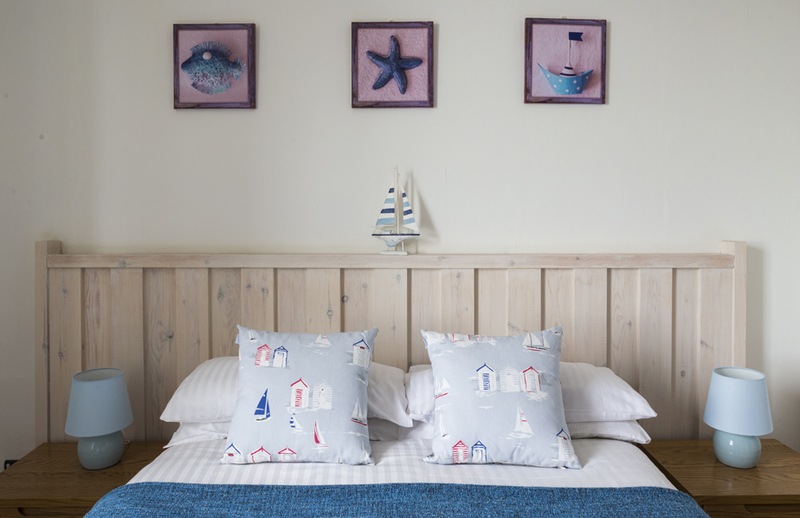 Our bright and fresh seaside rooms with a distinct New England vibe, will help you kick back, relax and enjoy the views. 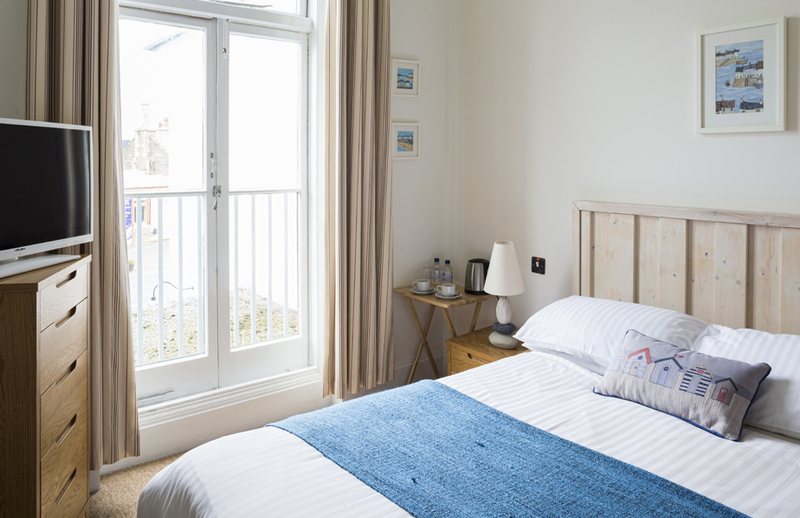 With a range of rooms to suit your needs you will always have a stay to remember. 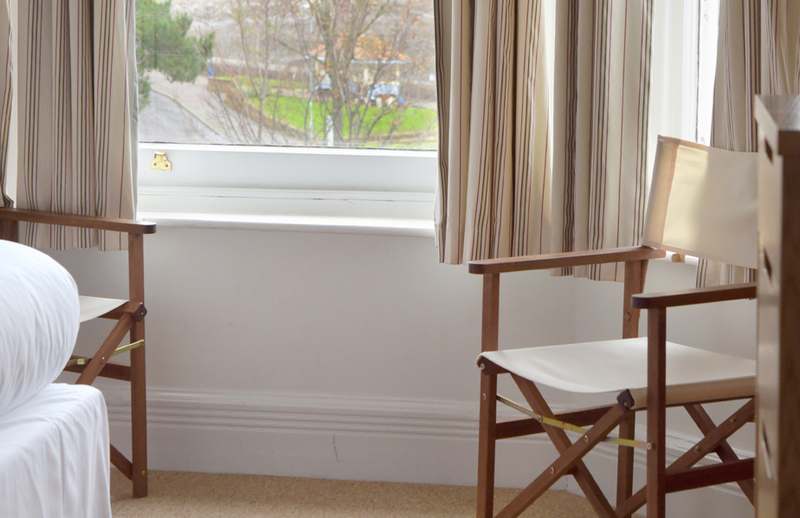 All of our rooms are on the first or second floor. 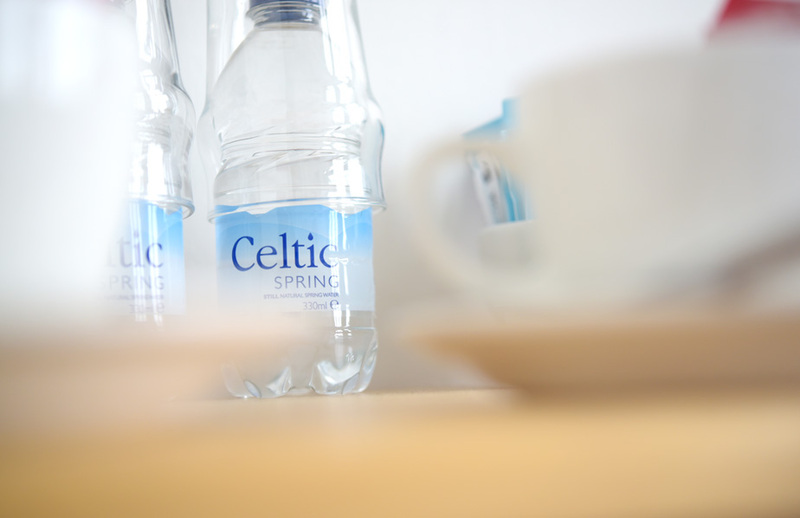 Please be aware there is no lift at the hotel, but our staff will always be on hand to assist you up to your room. 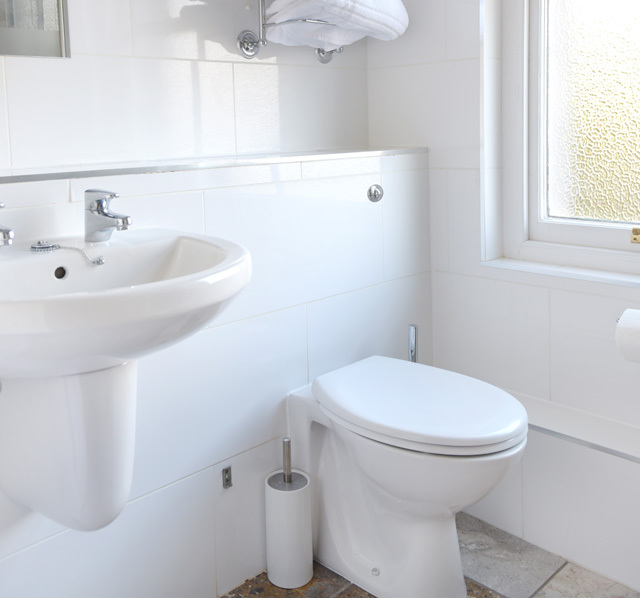 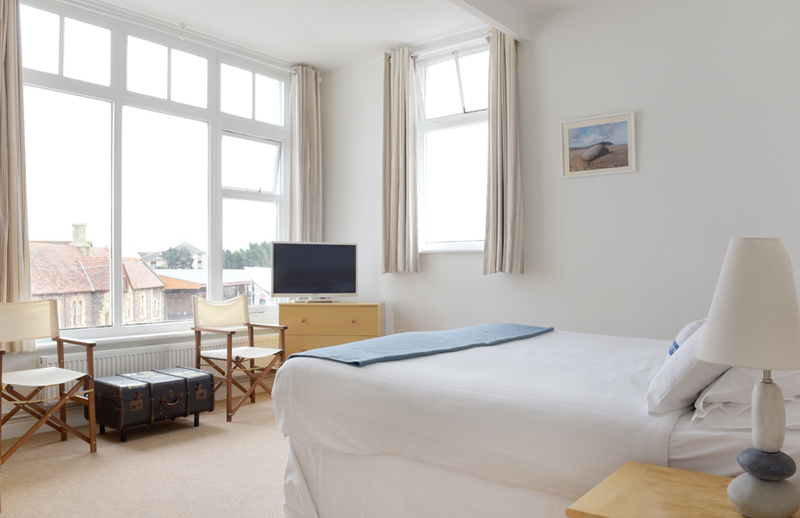 Each room has a double aspect view across the Bristol Channel to Wales, some take in the spectacular North Hill, whilst others have a stunning view of the heritage railway. 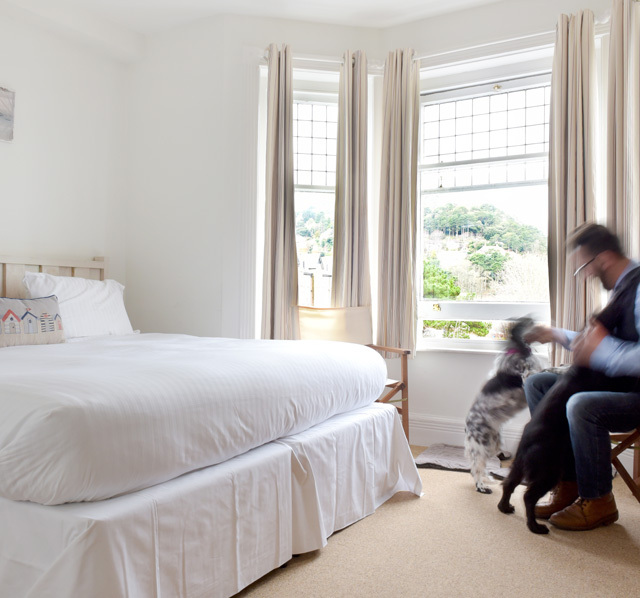 These large rooms have a super-king bed, and lots of space to relax. 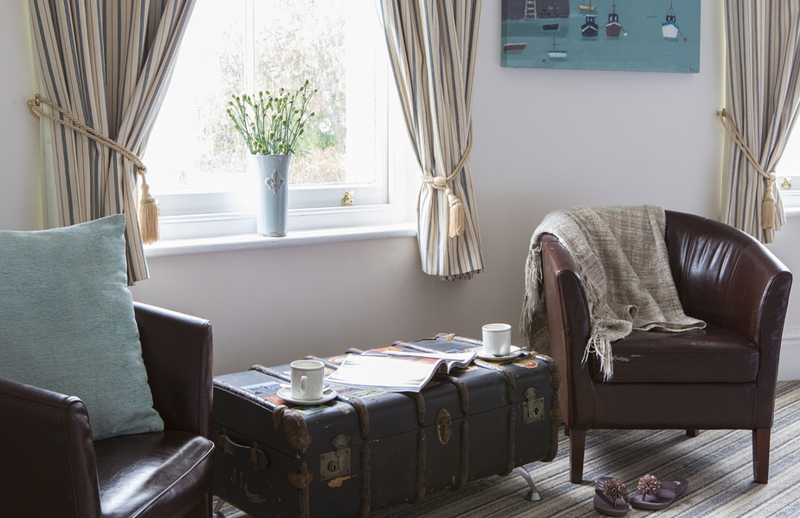 Slightly smaller than our Luxury rooms, our Deluxe rooms are decorated in the same New England style. 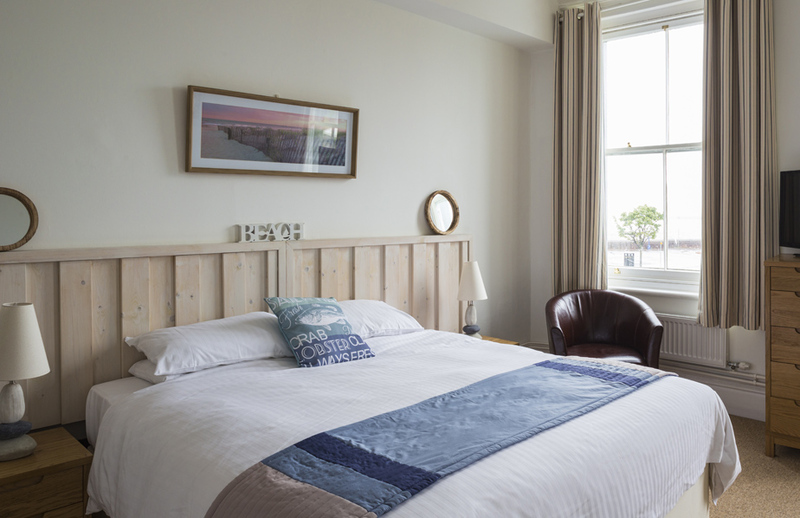 With large double beds or queen size beds they all have a view over across the Bristol Channel or down the Heritage Railway. 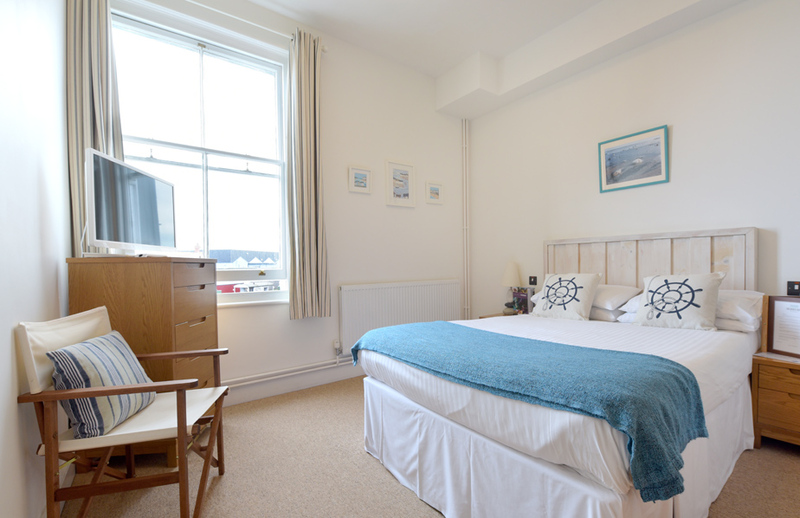 These lovely quaint rooms have a high standard double bed, decorated to the same standard as our larger rooms and they all boast lovely views across the Bristol Channel and the heritage railway. 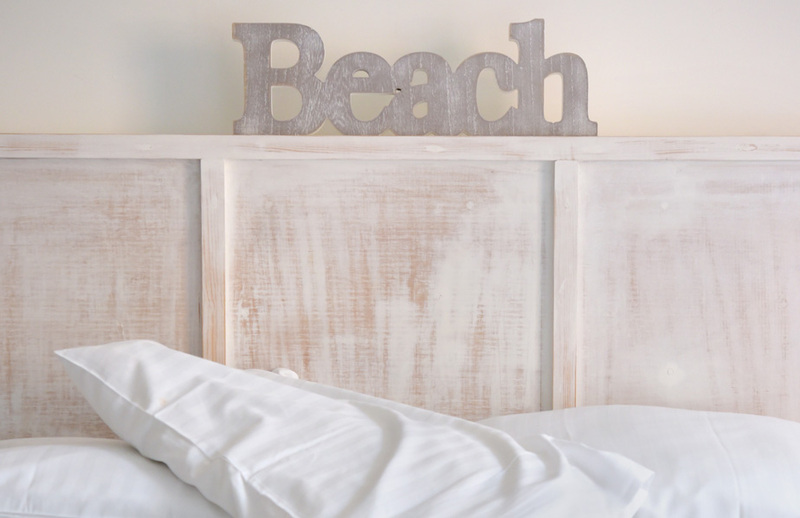 Whether you are staying with family or a group of friends, these lovely relaxing rooms still have the beach vibe. 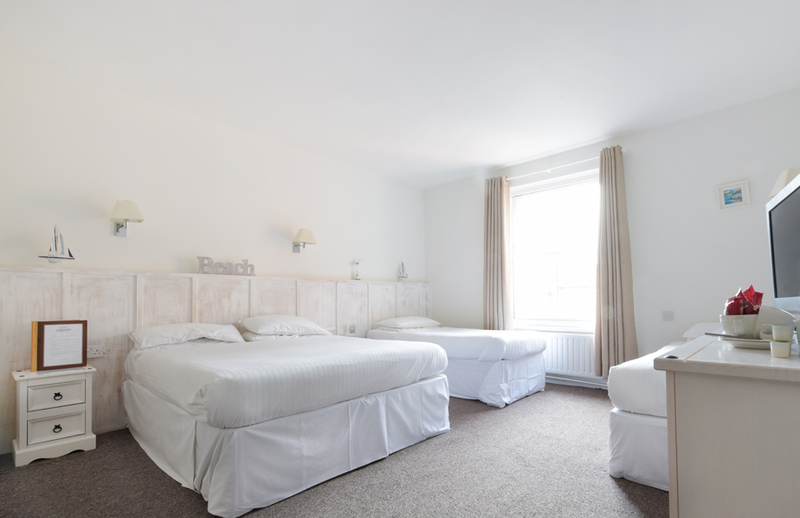 With a flexible bed option of a double and two singles, or 4 singles you will find something to suit your needs. 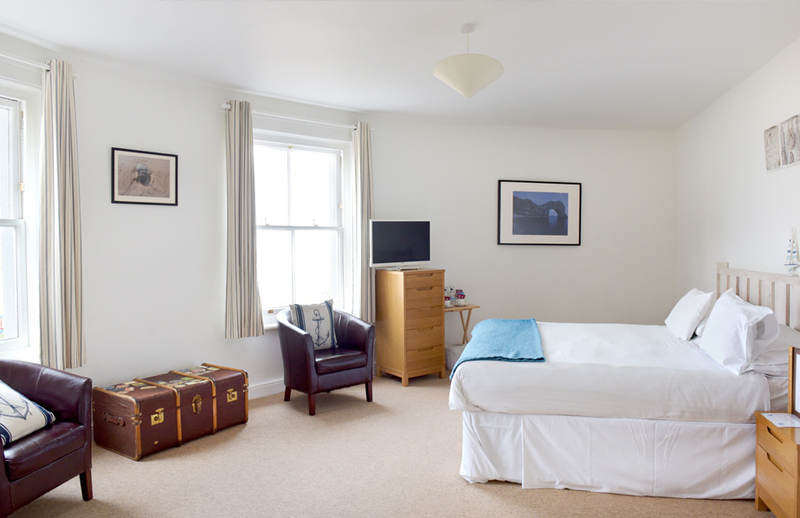 These rooms either have a Victorian rooftop view across to the foot hills of Exmoor or sea views across the Bristol Channel. 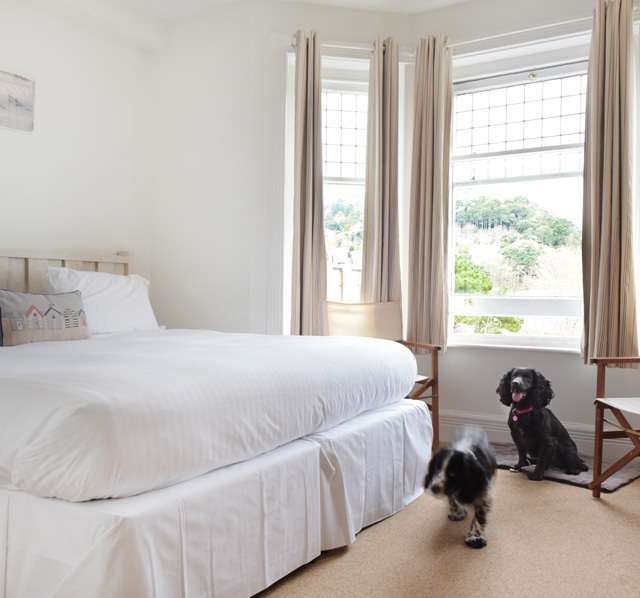 With stunning costal walks and Exmoor on our doorstep why not bring your dog, as long as it is accompanied by a sensible adult then your dogs are welcome to stay in any of our second floor rooms. 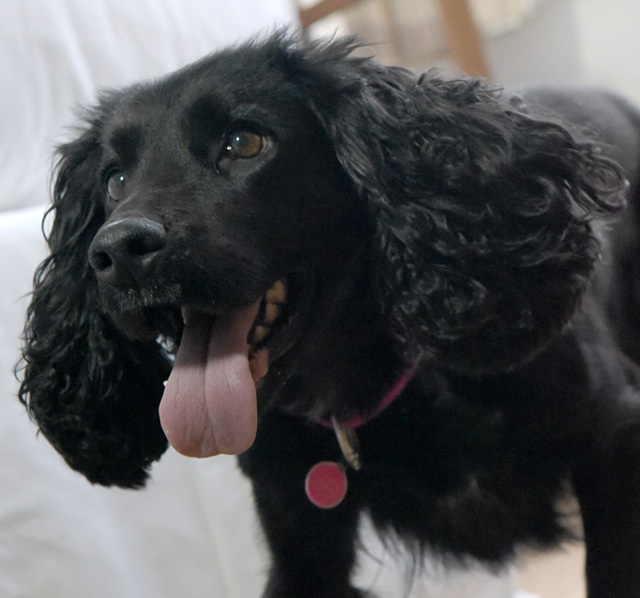 Dogs are charged at £5 per dog per night. 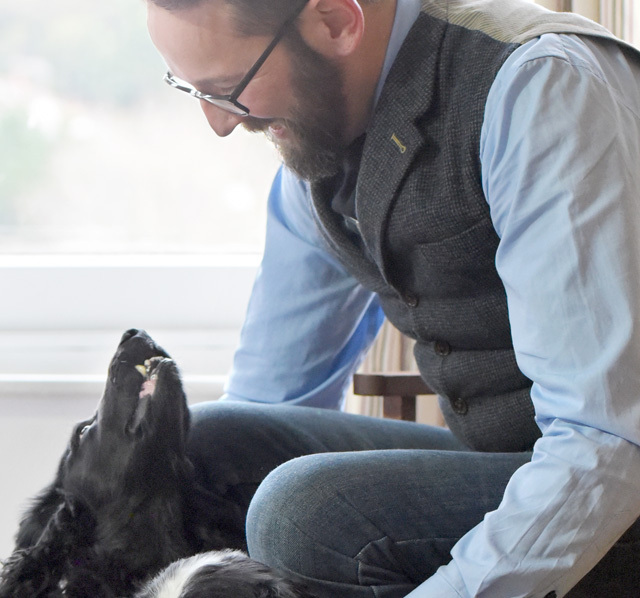 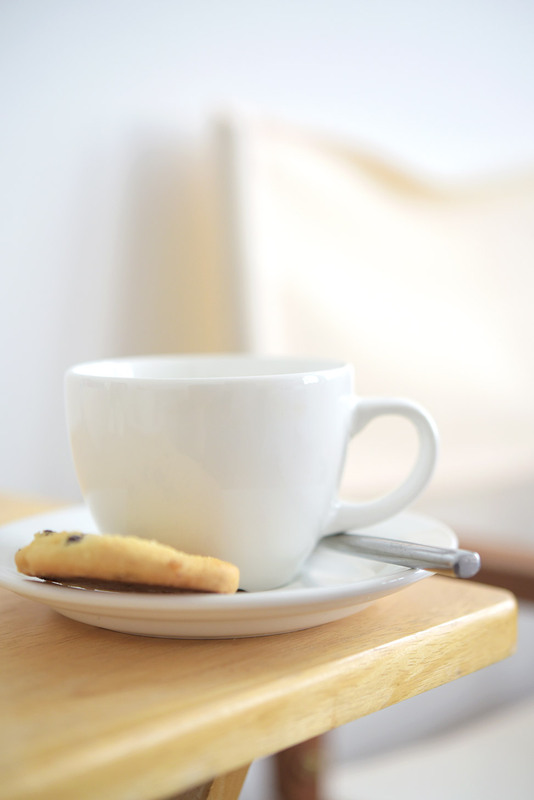 You will be able to have breakfast with your pooch as we can set you a table in our snug area to allow you to all eat together, (we don’t provide dog food).